One of the highly vital functions in healthcare practice is medical billing management. However, it has always been a challenging task that requires specialized skillset. 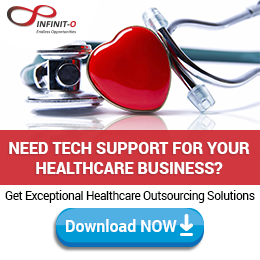 When it comes to medical billing outsourcing, Infinit Healthcare is a specialist. We know the importance of an efficient medical billing process to keep your healthcare practice afloat. 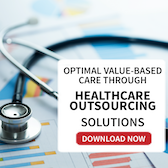 Our medical billing outsourcing experts ensure maximum accuracy – from data entry to claims submission – thus insuring payments come in faster to you. With the rise of Managed Care resulting to enormous increase on payer denials, Infinit Healthcare uses our extensive experience in the medical billing industry to implement techniques that diminish these denials. With Infinit Healthcare’s medical billing outsourcing services, hospitals and private healthcare providers can tremendously increase the quality of their claims submissions and improve the process of their collections. Our medical billing outsourcing services will allow you to focus on what you do best – providing the best healthcare and patient satisfaction. We know that medical billing can be a tedious and time-consuming task. With the aid of Infinit Healthcare, you can have more breathing room to concentrate on patient care. Infinit Healthcare offers a reliable, uninterrupted, and accurate medical billing outsourcing services. Our medical billing outsourcing experts are knowledgeable with the health insurance industry, and has firm grasp of medical terminology and health coding which is important in this specialized task. Our medical bills outsourcing experts are also well informed and up-to-date with the new regulations and protocols of the insurance industry. They maintain compliance to ensure submission of clean claims and steady inflow of payments to your healthcare practice. Infinit Healthcare emphasizes on expanding the expertise and technologies rather than risking your capital. 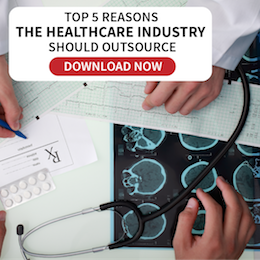 That is why we took care of the technological infrastructure to support our medical billing outsourcing services so you need not to invest on them. You get to avoid the risk of technology obsolesce, the cost and the headache of maintaining the servers, software and hardware, and upgrades. Infinit Healthcare does medical billing seamlessly from start to finish.